CrowdCity is a fintech start-up organisation operating in the financial services industry. 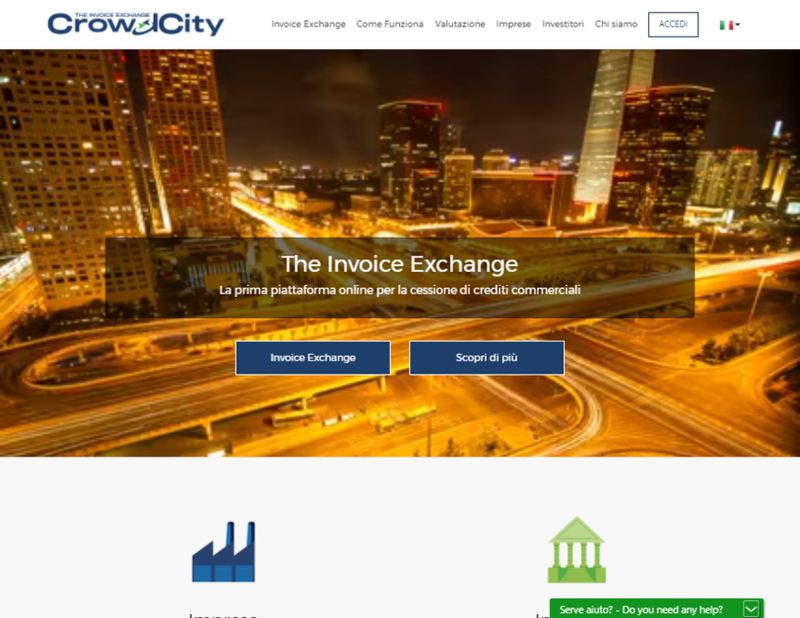 Crowdcity manages an online Marketplace which brings together Italian SMEs with a community of institutional investors able to anticipate liquidity rapidly and efficiently. Their mission is to change business'​ short term financing for the better by bringing transparency and simplicity to the invoice trading market.